Even though the world is now taken over by technology, it's nice to dial back and turn off. Daniel Wellington is a classic and their pieces are simply sleek with proper sizing and relatively inexpensive. Daniel Wellington watches have a unisex, any-occasion sense of style which rarely looks out of place. From casual t-shirts to two-button polos to elegant business suits, all Daniel Wellington watches fit in. Box and Packaging – The best part of any watch is the box since that adds the elegance to the watch. The packaging I received was a brown leather box that looks flawless on my dresser and a perfect place to store the watch. Description of the Watch – The Dapper St. Mawes has everything you need in order to look sleek and well-dressed. This 38 mm watch from the Dapper Collection is available both silver or rose gold and has been enriched with deep blue hands, Roman numerals and date display. The combination of simple good looks, proper sizing, and fitting, and relatively inexpensive price have all contributed to Daniel Wellington’s success. The simplistic case merges seamlessly with the brown St. Mawes leather strap, made from Italian leather, and completes the look of a timeless and sophisticated watch. The watch feels really good on my wrist plus it’s not too big or not too tight. Also, the leather is already getting more flexible which to me is also a big plus. 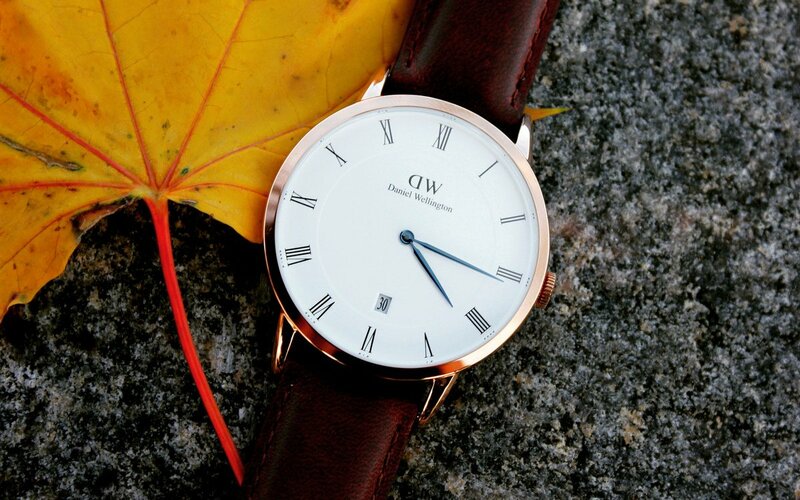 There is a reason the Daniel Wellington watches are so popular, they're exquisitely designed and luxurious to wear. 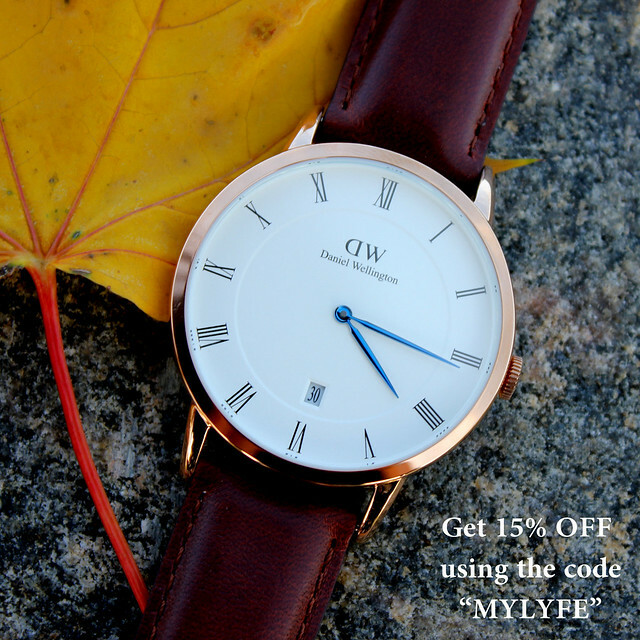 If you're thinking about buying a watch for yourself or as a gift, use the code: “MYLYFE” to grab 15% off your order. 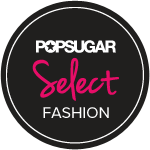 Be your own style icon and speak for a handsome/beautiful and dapper look at all times. i have three Daniel Wellington watches and I love wearing them! I loe Daniel Wellington watches! They are so good! Gorgeous photos, love the watch! Daniel Wellington watches are so beautiful! I love them because they're so classy and they look nice with basically every outfit. Thanks for the discount code! Every time I see them they are so lovely. What a beautiful watch, it looks great! What a great watch! 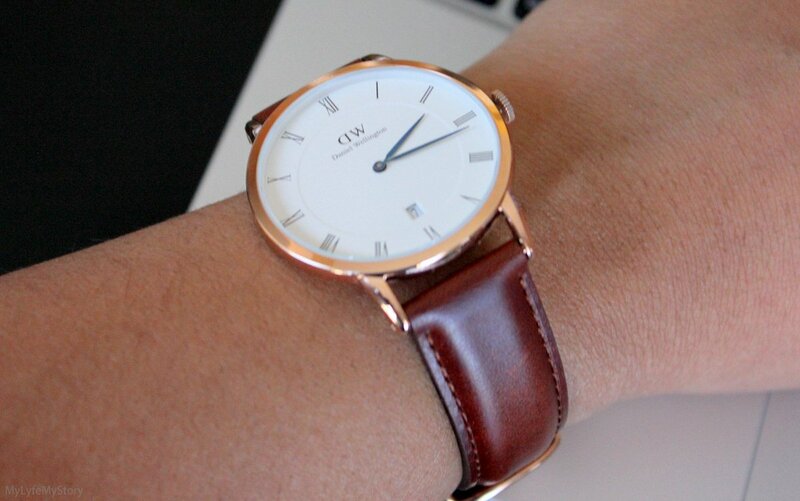 Daniel Wellington has the best pieces, they are so classic! It's such a cool watch. I love it. That's a nice post, their watches are really worth spending on !! 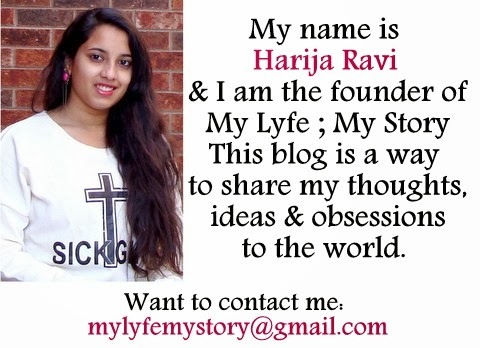 I followed ur blog, hope u follow back too. Sooo pretty my Loveee:) How are you? Would love to have one! Thanks for your wonderful comment on Qing's Style. Hope to hear from you soon! Love DW, is a very chic brand. Beautiful watch! This is such a pretty watch. Their watches have such a classic feel, I think they go with everything. Great choice! I adore these watches, i need a new one for sure. Which one's your fave?